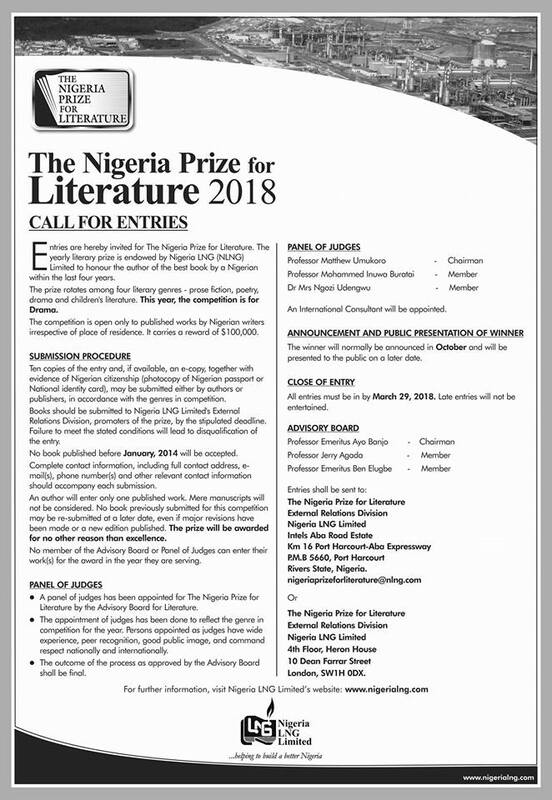 The yearly literary prize is endowed by Nigeria LNG (NLNG) Limited to honour the author of the best book by a Nigerian within the last four years. The prize rotates among four literary genres - prose fiction, poetry, drama and childrens literature. This year, the competition is for Drama. The competition is open only to published works by Nigerian writers irrespective of place of residence. It carries a reward of $100,000.